Manly council had a vision to preserve the Corso’s unique heritage and ecosystem. StoneSet provided the perfect solution. 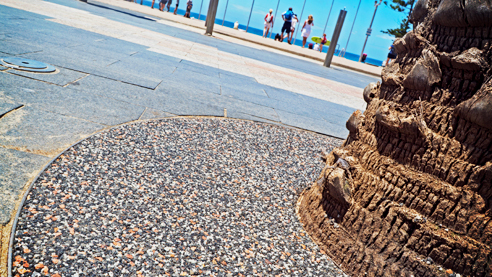 The famous Manly Corso, developed in 1854, was originally laid out as a boardwalk to bridge the gap between the harbour and the beach. Today, packed with funky boutiques, Chef Hat restaurants, surfers, sun-worshippers, tourists and locals, the eclectic Manly Corso brings mass amounts of traffic through its path each day of the year. Manly is a unique environment with a precious landscape that is susceptible to stresses from development, pollution and climate change. Because of this, Manly Council is especially dedicated to preserving the space for many generations to enjoy. 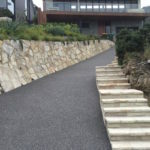 StoneSet was tasked with protecting some botanical species of trees on the Corso while enhancing the footpath for public use. With the tree surround solution, StoneSet was able to maximise the porosity rate at which water can reach the root zone. 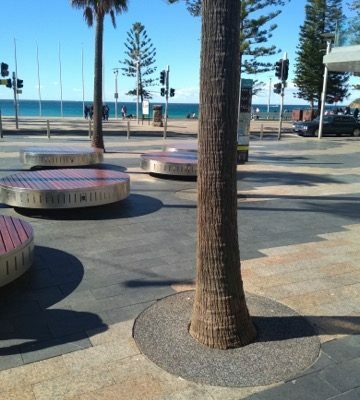 StoneSet tree surrounds are unrivalled at achieving these rates while providing a durable surface for an urban environment. A tree surround made of our porous material allows rain to reach the tree roots. In fact, the StoneSet layer lets water through up to 103ltrs/m2/second. This cuts down on the need for watering, ensuring every drop of precious rain water or any water that escapes from the irrigation system doesn’t go to waste as it will find its way into the ground. 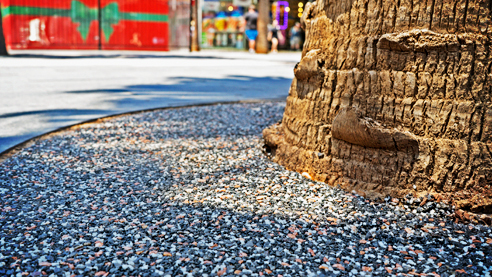 A 30mm layer of porous paving around a tree surround not only cuts down on puddles, but eliminates loose stones, so there is little to trip over. This is especially important in high foot/wheel traffic areas like the Corso. 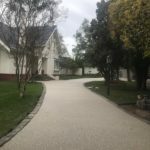 The special blend used in the paving incorporates fine cast sand, which makes the material itself slip-resistant. The durability of the material also enhances safety. 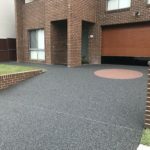 Many traditional hard surfaces are prone to cracking, but our flexible porous paving resists it, removing the threat of exposed roots and holes that people can trip over. Covering the ground around a tree discourages insects and weeds that might otherwise compete with or eat your tree. Weeds need sunlight, and while porous paving will let the ground breathe, it will block burrowing pests from coming up and discovering your tree’s bark. It is important to remember that your tree may drop seeds, too. Open ground and the cracks in traditional paving can allow them to grow where you don’t want them. StoneSet guarantees its work for 10 years, but the material can last more than 25 years. That is a long time to keep your tree surround free from pests in the ground. 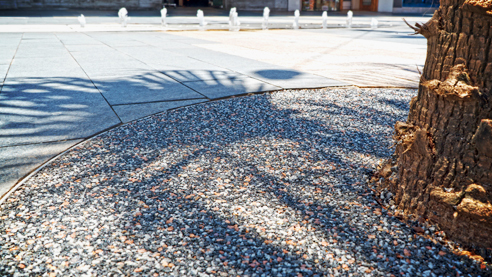 There isn’t much to keeping porous paving looking neat and pretty. 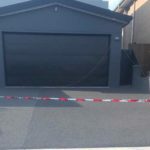 The council’s workers can easily apply a brush and pressure washer once in a while and it will continue working for a long time. 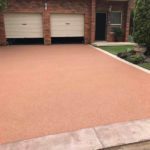 It can take the sun, freezing temperatures and heat without losing colour or flexibility, and so doesn’t require any special considerations. With Manly being a beach town and a popular destination spot, it’s important that the environment is sustainable, safe and last but not least, pretty to look at. 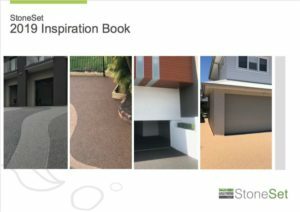 If you’re looking to incorporate StoneSet tree surround for your next project, click here for some specification advice to consider.